Isuzu Finance of America (IFAI) is the captive finance company for Isuzu Commercial Truck (ICTA), the official distributor of Isuzu commercial vehicles in the United States. Isuzu Motors Limited is one of the world’s largest manufacturers of medium and heavy-duty trucks, selling over 26 million trucks worldwide since its origin in 1918. Isuzu commercial vehicles have been the best-selling low-cab forward trucks in America every year since 1986. Partnered with ICTA, Isuzu Finance of America aims to offer exceptional service and exclusive programs to authorized Isuzu dealers nationwide. For the last 10 years, IFAI has been dealers’ trusted source to place customers into new or used Isuzu trucks hassle-free. IFAI provides financing peace of mind through flexible and timely customer service, while providing clients with an assortment of options to meet their many commercial needs. The Isuzu iLease is by far the most complete and cost effective option for qualifying customers, allowing them to take advantage of low monthly payments and a close-ended (fair market value) deal. The TRAC lease is an open-ended payment option allowing flexibility based on customers unique business needs. Shinsuke (George) Kuramoto has been the president of Isuzu Finance of America since April 2017. He is responsible for growing the lease and loan business while driving sales revenues of Isuzu Finance of America. He is also responsible for managing Isuzu Finance’s sales, marketing and operations efforts. George has over 19 years of vehicle finance/leasing expertise. 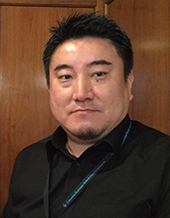 George has spent the past nine years in various capacities at Itochu Corporation, most recently as Manager, Finance Business Section. Jim leads the management team in all phases of sales, marketing and remarketing, including end-to-end program development in collaboration with Isuzu Commercial Truck of America and their distribution network. Over a decade ago, Jim was an instrumental figure in the start-up and expansion of Isuzu Finance of America. Jim’s 30+ years of expertise in commercial vehicle finance and leasing has helped grow Isuzu Finance into one of the most respected captive finance companies in the United States. Daniel is the regional sales manager for the Western region. He is responsible for developing and maintaining relationships with Isuzu Commercial Truck of America dealers, managing field sales staff and sales initiatives, as well as acting as finance/manufacturer liason between Isuzu Finance and Isuzu Commercial Truck. Daniel has over 25 years of truck sales and finance experience. Prior to joining Isuzu Finance, Daniel worked as DM/RM for The Associates, DM for Hitachi Capital and AVP/DM for Wells Fargo Equipment Finance. Daniel is a graduate of UCLA and lives in Claremont, California with his wife and daughters. Gary leads the sales teams in the Southern, Eastern and Central regions. He is responsible for sales and building relationships with Isuzu Commercial Truck dealers. Gary was instrumental in the national expansion of Isuzu Finance. Gary has over 30 years of commercial vehicle lending experience. He spent the previous six years as a district sales manager at Key Equipment Finance where he received several top sales awards. Isuzu Finance of America Names Mooney District Manager Western U.S.